All successful paid search strategies acknowledge that keyword research is one of its critical components. 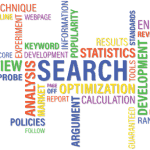 Search marketers spend a considerable amount of time, about 25%, just concentrating on keyword research. Many users are appreciating the benefits of Google Ads Keyword Planner. They say that they are able to stay on top of trends in keywords, which enables them to refine their search campaigns in order to ensure that their content remains fresh and relevant to their customers. Simply put, if you desire more traffic from Google, using the Keyword Planner is essential and will be beneficial to your ad campaign. 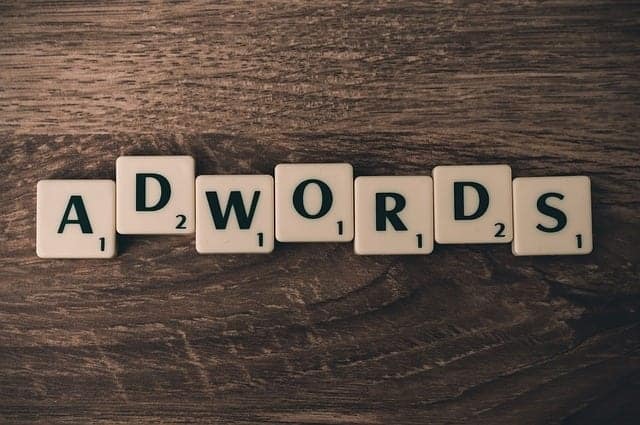 Formerly known as the Google Keyword Tool, the newly updated Google Keyword Planner makes it easier for Adwords advertisers to make informed decisions. 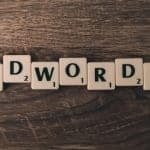 What is Google’s Keyword Planner? Google Keyword Planner is a free keyword research tool to help marketers understand what people are actually looking for. This very powerful tool has a lot of great benefits if you know how to get the most out of it. The Keyword Planner makes it a whole lot easier for advertisers to go through the process of creating ad campaigns. Think of this tool as the ultimate AdWords building workshop. Before you can use the Keyword Planner, you need to have a Google Adwords account. It is possible to create an Adwords account first and then pause your ad campaign. This means that the paused campaign will not yet appear in live search results. If you don’t run live ads, then you won’t incur any charges. The most important thing that the keyword planner does is it works to search for the keywords that are most relevant to your business. After choosing these keywords, you can then add to them to your plan. Another use of the Keyword Planner is for getting suggested bid estimates and looking at the search frequency of keywords. You can also check out how these keywords’ search volume changes over the course of one period or over a specific time. This is very useful in order to enable you to narrow down the list of keywords that you have and be able to set your budget only for the keywords that will be most useful to your campaign. With the Keyword Planner, you can create and share your plan with others in your team. First, you need to save this to your account and even create ad groups, setting bids for each keyword before launching the actual campaign. When you first get started with the Google Keyword Planner, it gives you two choices. You can either (1) find keywords or (2) get search volume and forecasts. When you choose either one of these options, it will take you to the Keyword Plan. Even if they are not two separate standalone tools, each choice has some distinct variations. With ‘Find keywords’, you will be able to acquire ideas for keywords which will be able to help you reach people who are interested in your product or service. With ‘Get search volume and forecasts’, you will be able to find search volume as well as other historical metrics for your preferred keywords. You will also be able to get forecasts for their future performance. 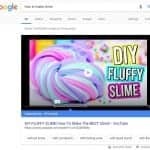 When you enter words, phrases, or even a URL that is related to your business, Google will show you some keyword suggestions. What’s good about this is that you can enter up to three keywords or even phrases at a time. You can even enter a combination of keywords and a URL all at the same time. “Words” should be single words that best describe your business, while “phrases” are “seed keywords” which allows you to get a list of closely-related terms. These keyword suggestions, which are sorted out by relevance, will also show average monthly searches, its competition (whether, low, medium, or high), low range top of page bid, and high range top of page bid. This tool is useful if you already have a long list of keywords, so it will not generate new keyword ideas. If you already have a list of keywords and you want to see their search volume, you can go directly to ‘Get search volumes and forecasts’. When you type in your list of keywords under ‘Get search volumes and forecasts’, it will take you directly to the Forecast section. The forecast sections show you estimate costs, CTR, and average CPC. It will also show the number of clicks and impressions that you should expect when you run ads for a particular keyword in the next 30 days. The Historical Metrics tab of the Keyword Planner runs a scan of your website, helping you gain information about how Google views your organic SEO efforts. By running this, you will be able to see the 12-month average search volumes for keywords. Here you can check whether their suggested keywords match your SEO targets. Both tools described above (Find keywords and Get search volumes and forecasts) will generate the “Keywords Results Page”. The top of the page shows three targeting options: Locations, Language, and Search networks. There is also an “Add filter” page where you can get several filtering options such as Keyword Text, Average Monthly Searches, and Competition. After using all of the tools, features, and options of the Google Keyword Planner, it is now time to choose keywords to optimize your site’s content. Google has rolled out an update of its Keyword Planner, which is located in the AdWords interface. In general, the updates rolled out make it more highly visual and more powerful. First off, you will notice right away that the workflows of the updated Keyword Planners are more streamlined. The old version has multiple links and options. With this new update, the start screen is more condensed and less wordy. Unlike in the old keyword tool, there is only one search box for seed keywords or URL. The old keyword tool enables you to adjust the filtering options right away. In the update, the filtering options are enabled only after the Keyword Planner does its initial search. One outstanding new feature of the Keyword Planner is it provides a chart that illustrates keyword volume trends from one month to the other when you do a keyword search. This way, you get to visualize search volume trends. The new planner also has a keyword volume comparison. You can now compare between two time periods and even see how search volume has changed over time versus a specific time period. This data also shows us in your dashboard. In the new Keyword Planner, Google also now shows the distribution of mobile versus desktop searches. Through this, you may be able to see how many people use a certain keyword on mobile searches or desktop searches. This insight is readily available for marketers in a clear visual. It will help you in finding opportunities for mobile bid adjustments. Another great update is that Keyword Planner is now able to break down the search volume based on various geo-targeting options. Just type the product or service, and then go to the targeting area to breakdown by location. The new Keyword Planner is certainly a great move for Google, as it helps marketers connect with the right people, at the right time and the right place.